Yesterday, Atlus warned Persona 5 players that if they show gameplay footage after a certain point in the game, Atlus will go after their channels with copyright claims and strikes. While some streamers aren’t surprised by this policy, they’ve reacted with frustration at what they feel are measures that will negatively impact their channels. Atlus USA posted a note to streamers on their website yesterday that implied that copyright strikes will be coming for anyone who streams Persona 5 past the in-game date of 7/7. They, in fact, “highly recommend” you don’t do this, in all caps. The game also blocks the Playstation 4's native sharing features for videos and screencaps. The reaction from streamers was vocal, and very negative. Atlus has historically had a draconian approach to streaming and Let’s Plays. After the release of Persona 4: Dancing All Night, the developer would hit even very small channels with copyright strikes. Eliot Gardepe, who used to stream and do Let’s Plays with a friend, had his channel put out of commission for six months because of such a strike. When a YouTube channel has a copyright strike against it, the owner will be unable to perform certain actions, like uploading a video that’s over 15 minutes long. “So our channel was basically hamstrung for several months while we waited for the repercussions for the strike to end,” Gardepe said. Streams and Let’s Plays exist in a legal gray area where they are at the whims of publishers and developers. While streamers and Let’s Players are aware of this risk, some say they feel that their work benefits developers, and that it’d make no sense for publishers like Atlus to go after them. Fraser, a streamer who also produces a show called Video Games AWESOME!, says he can understand the common concern that when players watch a Let’s Play or a stream, they won’t buy the game in question. But based on what he’s seen from his audience, he says that streams encourage people to pick up games they’re unsure about, and the majority of his fans are mostly watching games they’ve already bought in the first place. Fraser hadn’t initially been intending to play Persona 5 at all, but decided to stream on release day after seeing excitement for the game from his fan base. 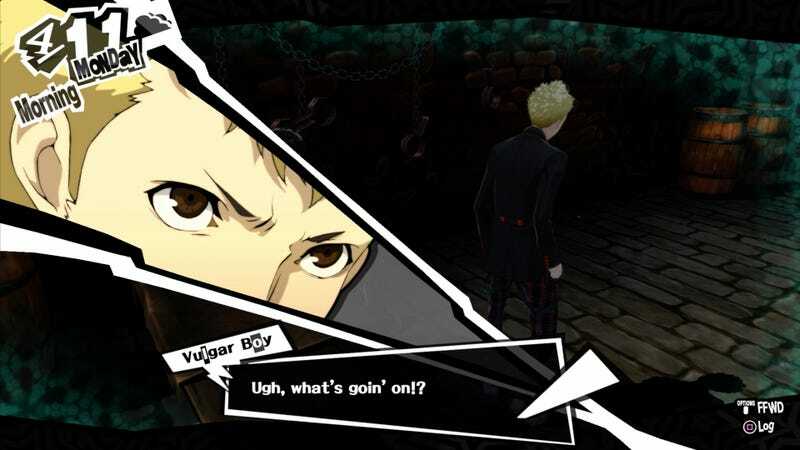 After Atlus announced their policy on streaming, he canceled it, echoing many other streamers and YouTubers who have since declared that they have no plans to support Persona 5. “I refuse to promote a brand that can not recognize a fundamental evolution in the way video games are consumed and enjoyed,” he said.